Just yesterday I saw a Cuphead plushie for sale at Target next to the Game of Thrones and Stranger Thing merchandise. The game's brand is bigger than the game itself, largely because of ease of availability. 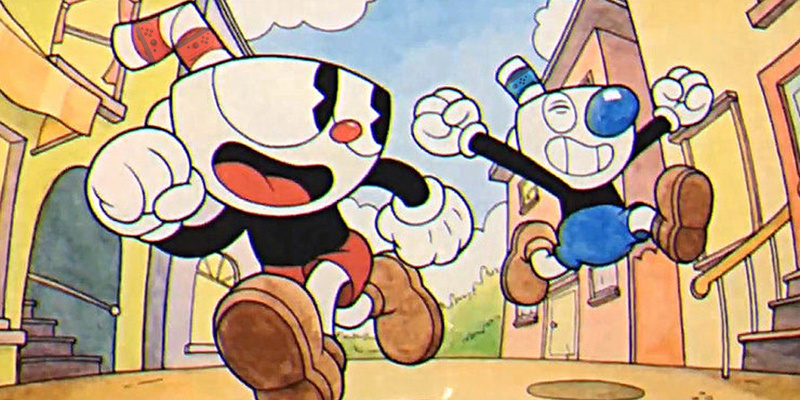 Being published by Microsoft meant that Cuphead was only for PC and Xbox One, which puts a pretty tight limit on how many people are likely to give it a play. That's about to change this Thursday, when in a historic move of cross-platform partnership, the house that Gates built will put the game up for sale on Switch. This new port runs fantastic, which is all preexisting Cuphead fans probably need to know before they decide on double-dipping or not. For those like myself who don't own an Xbox One or a decent gaming PC, this might be your only opportunity to check out the game at length. Here are some facts about Cuphead you may want to know before committing to the purchase. Cuphead is an entirely hand-drawn game, containing as much original art as a classic animated movie. It's also about the same length as one. If you're very, very good, you may be able to beat it in 90 minutes. It will take most people more like ten hours to get there though, and because every inch of the game is flowing with organic life, jumping back into familiar areas never gets old. You may not be able to tell from the trailers, but most of Cuphead consists of boss fights. There are 19 big, beautiful bosses in all, and getting to know each of their tells and patterns takes time. In that way, it's a lot more like Punch-Out!! than you might expect. There is a lot going on in Cuphead at all times. Learning to deal with multiple enemy attacks at once is the central premise of the game. Most of the time though, it's less complicated than it looks. In fact, if it weren't for the dash button, this would be a game that you could play entirely with an NES pad. You walk, jump, shoot, and dash, and that's about it. The ability to parry enemy bullets by hitting jump at just the right time adds some depth if you want it, but it's more or less optional. You may have seen a video of a games writer struggling to get through Cuphead's tutorial. He got stuck because the dash button isn't set to either of the controller's triggers. Ever since Mega Man X brought dash mechanics to the forefront of 2D shooter/platformers, most old people (like myself) instinctually hit a bumper to dash. After you figure out that it's actually set to the X button, it's easy enough to pull the move off without thinking too hard about it. Before long, it's all muscle memory and you can effortlessly pull off adorable cartoon gymnastics without much mental effort. 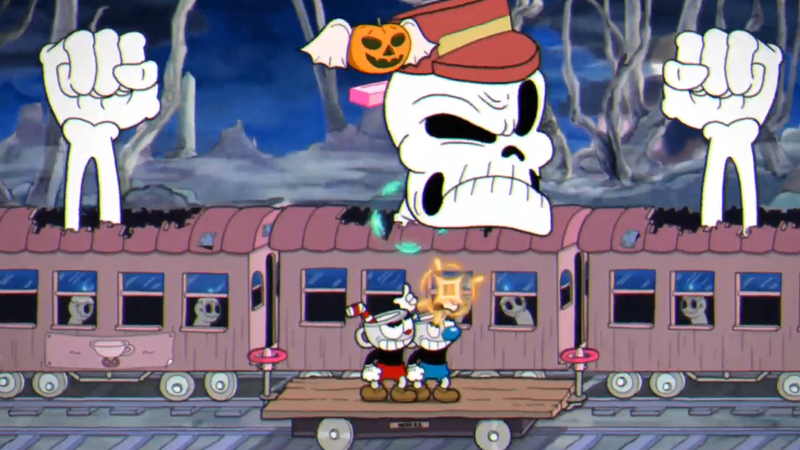 Along with From Software's 3D action games, Cuphead is one of the more frequently referenced games in any discussion of difficulty vs. accessibility. That's not because they're unfairly hard, or even close to being the hardest games on the market today. They are just harder than most expect them to be. Most AAA action games allow your average player to run through their campaigns without applying a ton of thought or patience. The same is true of simple-to-play, kid-friendly 2D platformers. At first sight, Cuphead looks like it's in the same wheelhouse as Kirby or Mario, when in reality, it's nowhere near as laid back. It's much more in the vein of classic Mega Man or Castlevania, where playing feels almost like a rhythm game after you get the hang of it. Just because a game kills you a lot doesn't mean that it feels punishing or mean-spirited. In Cuphead, you always feel like you have a chance to win, and that when you lose, it's not because you're terrible at the game. It's usually because things just didn't quite go the way you'd hoped, but there's always reason to think that next time will be better. 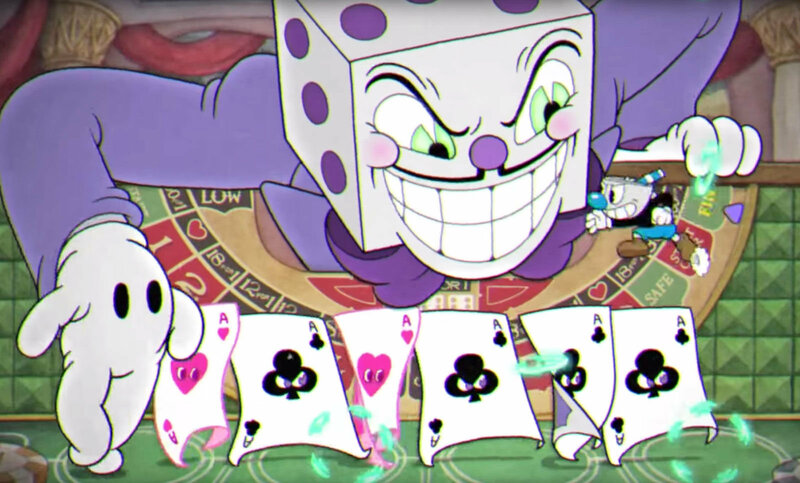 One of the introductory motifs of the game is gambling, featuring a character named King Dice who helps set up the story. It's fitting, as much of the game feels like a gamble, and is similarly compelling. 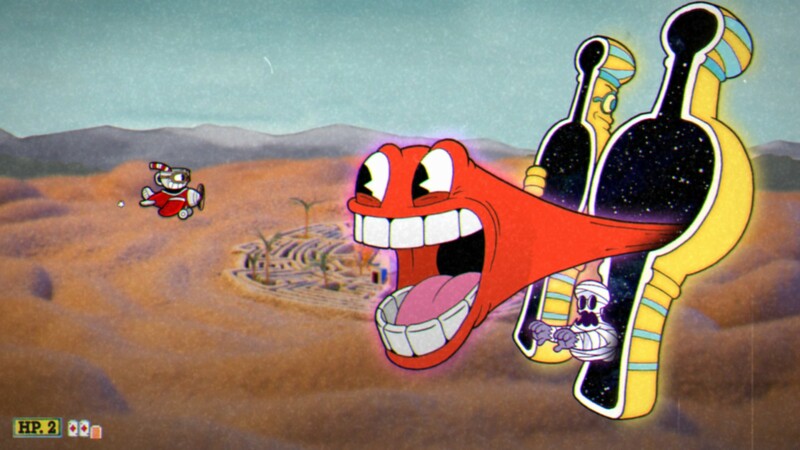 Just as most people don't feel like giving up after losing a few rounds to a one-armed bandit, Cuphead keeps you coming back for just one more try over and over again. 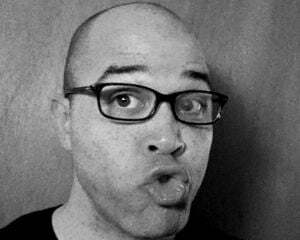 Chad and Jared Moldenhauer started work on Cuphead many years ago. Chad had never worked in hand-drawn animation before. Jared had gone through many iterations of the game's engine before he settled on something that, hopefully, would work as a worthy vessel for the thousands of drawings Chad was cooking up. Anyone who knew anything about the industry would have told them to stop work on Cuphead immediately. Make something smaller and more accessible first. Don't commit to a project that might require you to remortgage your house just to finish it, with no guarantee it will be profitable. Don't take a gamble on an art form that you have no track record of success in. These are all things the brothers were told, but they pushed ahead anyway, because they trusted each other and loved what they were doing. This is how Cuphead came to feel more authentic than the majority of massively popular games today. It does not follow any blueprint for commercial success. Instead, its creators just made something that was as fun to create as it is to play, and the joy they had in the development process is infectious. Play the game for just a few minutes and you're sure to feel it.